A Caterpillar’s Dream is a vegetarian, largely vegan cafe in Kew near the Junction. For a long time I’ve known about their cakes, but not the rest of the menu. I found myself in Kew recently and needed lunch so I headed in. There are a large number of vegan options on the menu that includes the pretty standard cafe fare of the burgers, pancakes, sandwiches, and breakfast food along with some asian staples like dumplings and rice paper rolls. Breakfast is available until 3 pm, and I almost went for the vegan tofu benedict, but instead I opted for the ‘chicken’ burger with chips. 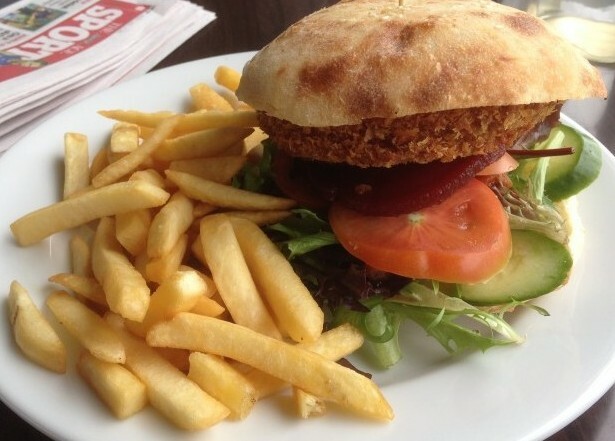 The burger was a crispy faux chicken burger with tomato, beetroot, spicy relish and salad in a good turkish bread bun, served with chips. I enjoyed the burger, the bread was good, the patty super crispy and with good texture and bite. I was too full after the burger to eat anything else, but after hearing so much about their cakes I had to get some. So I took home some mini vegan cupcakes for later. 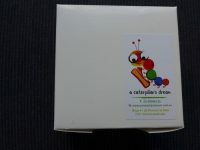 I chose four – carrot, tiramisu, red velvet and cookies and cream, all packaged in a cute little box. I’ve eaten two and they are wonderful. They’d make a nice gift. I don’t go out that way often but will bookmark the cafe for the day when I am in Kew looking for some decent food! This is walking distance from my place, yet I have only been once since moving here (still haven’t gotten around to sharing my experience!) 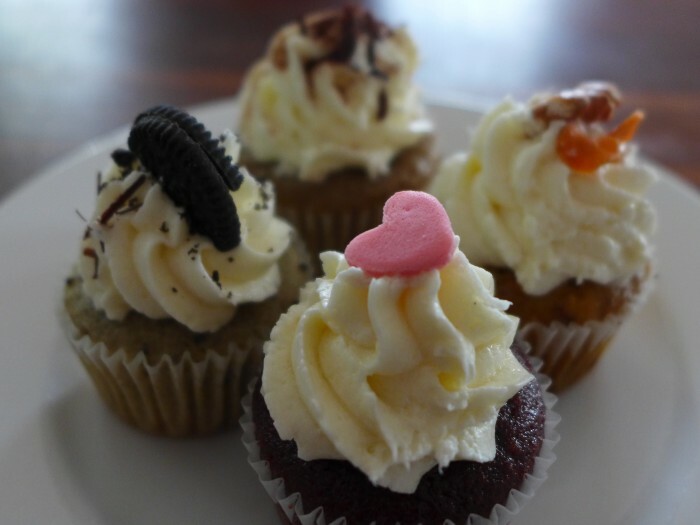 I will have to head up more and try out some more things on the menu – particularly all those impressive cupcakes!